Today I will discuss about MPLS VPN Components. 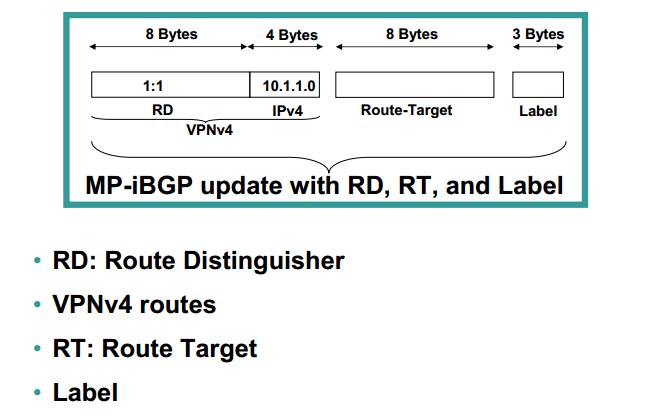 It is same as MP-BGP Components. only extra Label component are added with MPLS VPN Components. 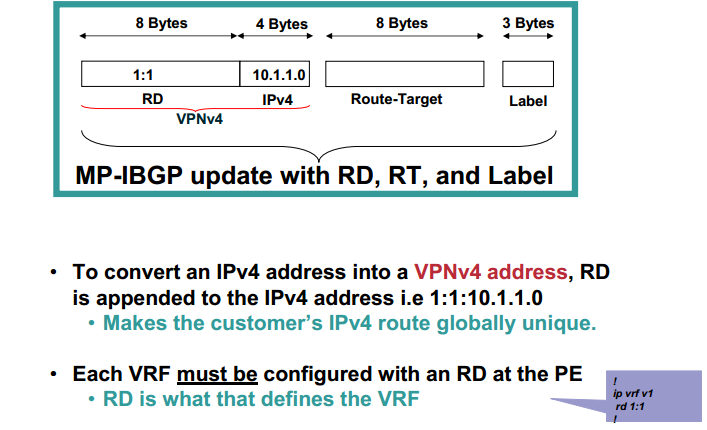 To convert an IPv4 address into a VPNv4 address, RD is appended to the IPv4 address i.e 1:1:10.1.1.0 Makes the customer’s IPv4 route globally unique. 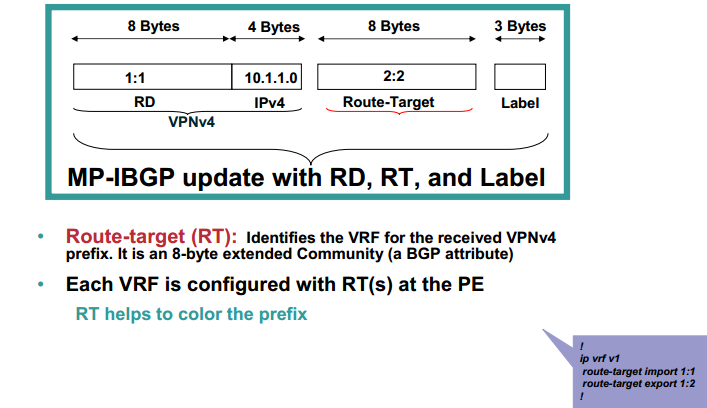 Route-target (RT): Identifies the VRF for the received VPNv4 prefix. It is an 8-byte extended Community (a BGP attribute). Each VRF is configured with RT(s) at the PE. RT helps to color the prefix. 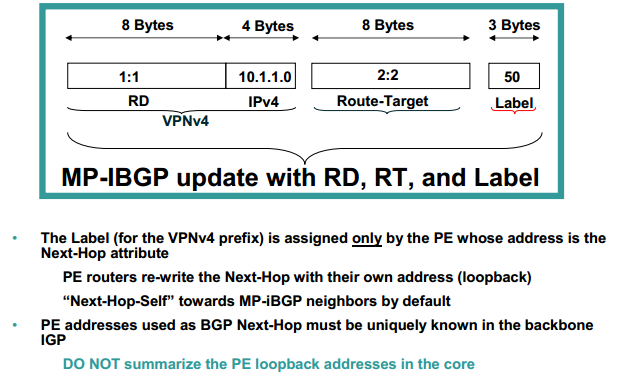 The Label (for the VPNv4 prefix) is assigned only by the PE whose address is the Next-Hop attribute, PE routers re-write the Next-Hop with their own address (loopback). “Next-Hop-Self” towards MP-iBGP neighbors by default.